Glass has been engraved for some 3,500 years. The art form has its origins in Mesopotamia where seal engraving was practised with immense skill on hard stone. The Romans were great craftsmen in the technique of cameo engraving and, to a lesser extent, in intaglio and point engraving on glass. Engraving flourished in various glass centres of the Empire, notably in Alexandria. 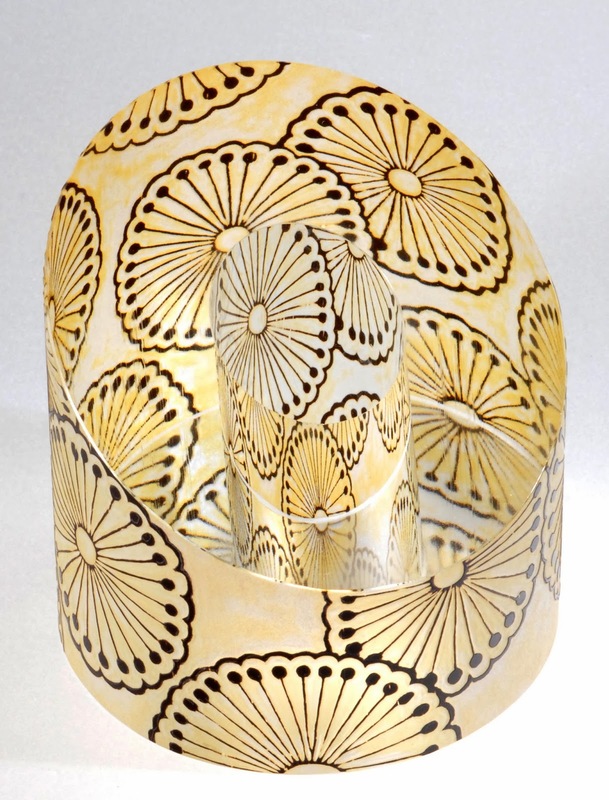 During the fifteenth century Venice became the new centre of excellence in glassmaking and, by the beginning of the sixteenth century, freely drawn linear designs appeared which were made with a diamond. Prague, at the end of the sixteenth century, witnessed the rebirth of wheel engraving on glass and from there it radiated to many central European cities. By the end of the eighteenth century wheel engraving dominated the craft. In the late seventeenth century in England the glassmaker George Ravenscraft discovered that by increasing the quantity of lead oxide in glass he could produce a beautiful, clear, bright 'metal' which was ideal for facet-cutting. 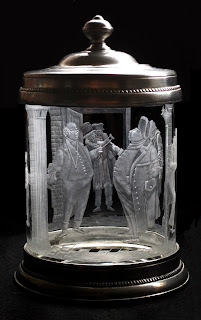 Because this also produced a physically softer glass it was welcomed by the eighteenth century Dutch artists, the innovators of the most delicate of engraving techniques, who found that it was sympathetic to their stipple engraving. 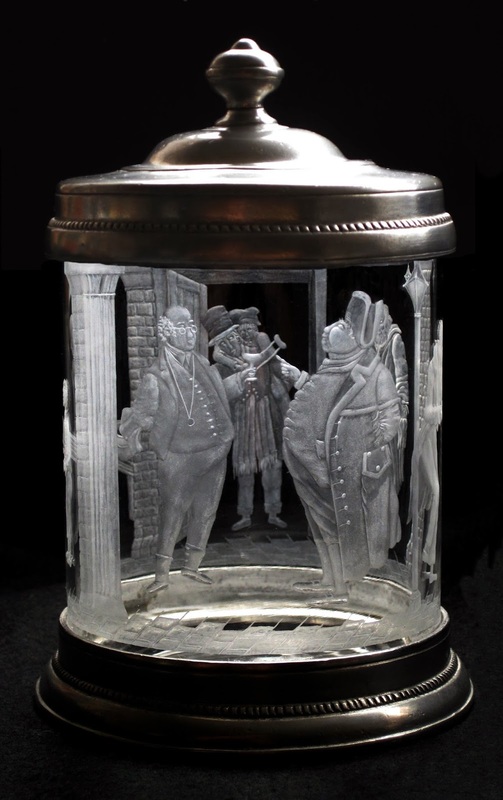 New techniques of acid etch, introduced in the first half of the nineteenth century, and of sandblast which followed later in the century, brought the price of 'decorated' glass within the reach of more people. Laurence Whistler revived the art of diamond point stipple in 1935. In the second half of the twentieth century the electric drill gave many more artists the opportunity to explore glass engraving. 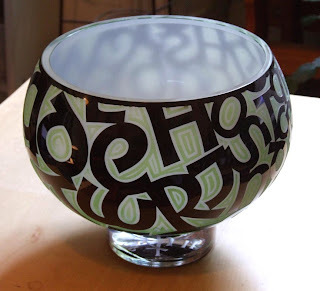 Since 1975, the revival of interest in the medium has also stimulated a resurgence of demand for engraved glass from architects, curators and collectors. 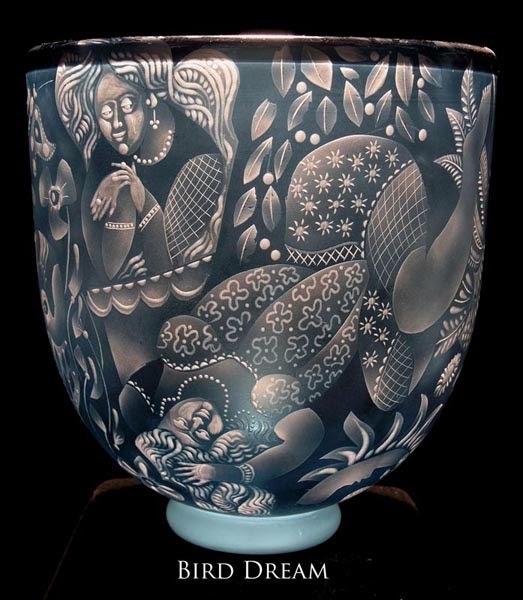 The Guild of Glass Engravers (http://www.gge.org.uk//) was founded in 1975 in order to establish a professional body for this art form. 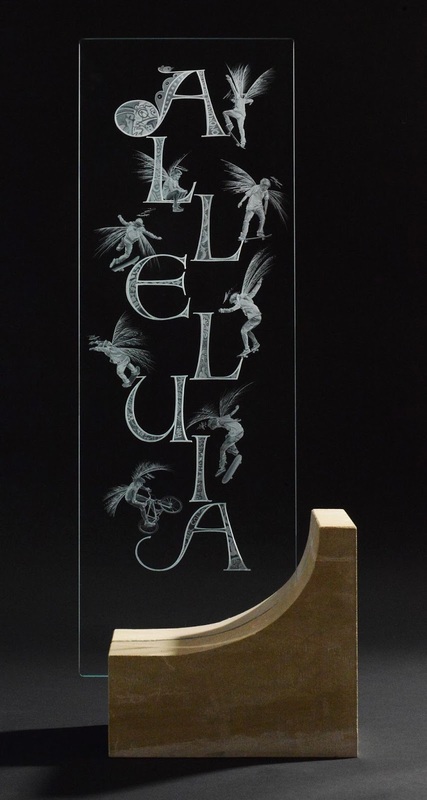 The primary aims of the Guild are to promote the highest standards of creative design and craftsmanship in glass engraving. 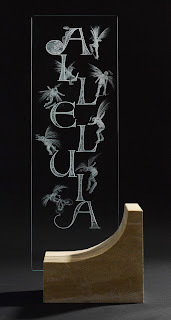 The Guild acts as a forum for the teaching and discussion of engraving techniques and new developments from around the world as well as acting as a source of information to the public on all aspects of glass engraving and advises the growing number of individuals and institutions wishing to commission work. Great to see the art form I love being promoted like this. Beautiful work. Thank you. I am happy to read your blog and found some unique information about traditional handicrafts. In this blog you cover the product with culture. 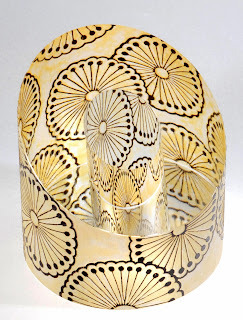 Amazing engraving art work check some amazing handicraft gifts here.